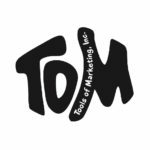 Blog – EDS Wisconsin, Inc. 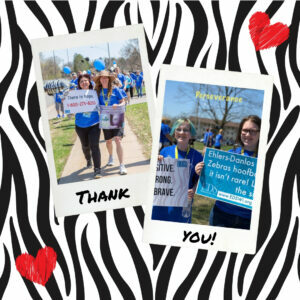 Thank you for supporting EDS Wisconsin in whatever way you can–and there are many. Your support through monetary contributions, event attendance, social media presence, supporting patients through mentorship and listening, following our blog, and even just by having an awareness of our experience with EDS has allowed EDS Wisconsin to make an impact in 2018. We wanted to let you know what EDS Wisconsin achieved as a result of YOUR generous contributions and unwavering support. Of all the events that took place in 2018, we were most thrilled to hold the First Annual Meagan’s HOPE Memorial Walk for Suicide Prevention and EDS Awareness. This event had 186 participants and for an event in its first year, we could not believe we were so blessed to have this many people in attendance. One of the most important tools and major hurdles for EDS patients is genetic testing. 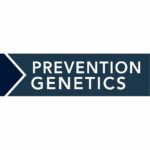 In 2018, we developed a relationship with Director Christina Zaleski and Dr. Juan Dong at PreventionGenetics. 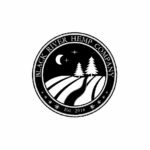 We were able to tour their state-of-the -art facility, and work with them to help make their new 45-gene panel available to more patients! Afterwards, we had the tools to help patients get the testing they need. 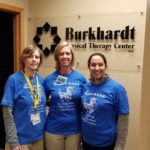 We hosted over FORTY support groups for patients with EDS and related conditions throughout Wisconsin – in Wausau, Milwaukee, Madison, LaCrosse, and Appleton/Green Bay. These groups and the support they provide continue to grow and help individuals in need. EDS Wisconsin also provides online support group meetings for those who live outside these areas or struggle to leave their homes. We have also connected kids and teens by having TWO support groups for them, something we are thankful we will be able to continue thanks to the ongoing support and financial contributions of our volunteers, sponsors and donors! These support groups are so important as the feedback we received showed an overwhelming majority felt they had ZERO support prior to attending our support group meetings. How to Make May EDS Awareness Month (available on YouTube). Both Meagan’s Walk and the 2019 Trivia Challenge are right around the corner. 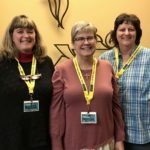 These incredible fundraising events Strengthen Connections within our community, while providing the valuable financial resources and support we need to keep this organization on track to achieve its vision of a better Wisconsin, where EDS and related conditions are better understood, treated, and supported! Your contributions have made it possible for us to provide support group print materials and supplies, support group leader training, supplemental grants for 2 children and 3 adults to attend conferences related to pain and EDS, have provided food to a family where both parents had surgery within a week of each other – the second one was due to an accident. We helped one patient pay for medication when it would have otherwise been impossible, improving quality of life for a member of our EDS family. Looking forward, we are developing a support group leader training and education program because we believe it is so important to have quality, support groups in as many areas as possible, and that our support group leaders also need to receive the support they need. 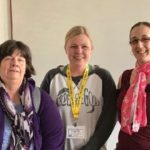 We will continue to regularly feature blog posts by Stephanie Vander Pas who shares not only about EDS itself, but about her experiences and events that connect us all. Stephanie’s candid writing provides readers with an insight into what it is like to be living with EDS, at the same time her words build strong, human connections, even with those who do not have EDS. Thank you Stephanie for sharing our thoughts and feelings, and for being our voice. 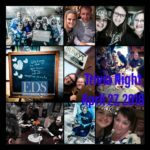 We are so excited to be working with over 70 amazing, dedicated, passionate and motivated volunteers who take valuable time out of their lives to help progress the mission and vision of EDS Wisconsin! When you see or talk to one of our volunteers, make sure you tell them thank you. Many of our volunteers also live with EDS which makes volunteering especially challenging sometimes. 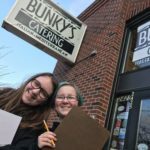 As a result, EDS Wisconsin is implementing a Buddy System to ensure that our Volunteers get the support that they need. We have an incredible amount of gratitude to the medical professionals who have learned about EDS themselves and are educating both patients and peers as we move toward a future with improved quality of life for EDS patients--or maybe even a cure. These medical professionals are incredible and we are so thankful to know and work with them. 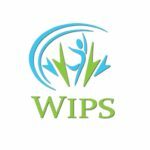 The mission of EDS Wisconsin is to provide support, resources and education to both patients AND medical providers. Our generous supporters and volunteers make all of this possible. 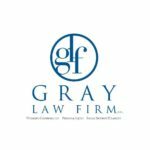 We firmly believe our work will continue to make all goals achievable and contribute to the overall improvement of living with EDS and related conditions in Wisconsin. From the very bottom of our hearts, thank you for your support of all we do as we work to improve peoples lives daily. 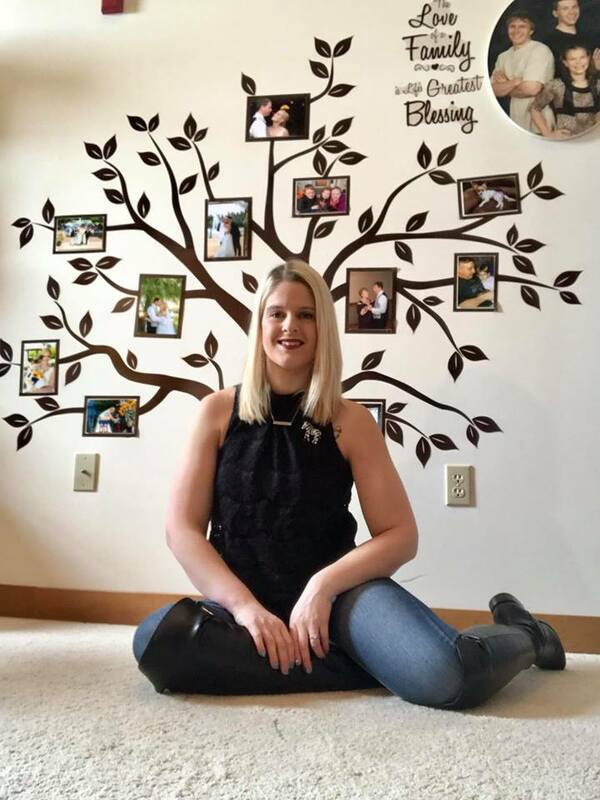 Wausau, WI: On Saturday, May 4, 2019 at 1 PM EDS Wisconsin, Inc. and the Braun Family are hosting the Second Annual Meagan’s HOPE Memorial Walk and Roll for Ehlers Danlos syndromes Awareness & Suicide Prevention at Weston’s Kennedy Park. In its first year 186 people came to this event from across the country. The family hopes to double that number this year. The public and media are encouraged to attend. 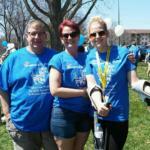 Prior to the walk, speeches will be done by Tammy Kosbab of EDS Wisconsin, Dr. Linda S. Bluestein, M.D. 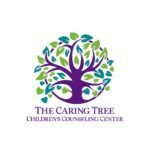 of Wisconsin Integrative Pain Specialists, Licensed Professional Counselor Trena Loomans of The Caring Tree Children’s Counseling Center, and others. A special announcement will be made prior to the one mile walk and roll. 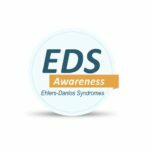 Ehlers Danlos syndromes (EDS) are a group of heritable connective tissue disorders that impact individuals of all ages & genders. Frequently misdiagnosed as Fibromyalgia, Chronic Fatigue Syndrome, or various psychosomatic illnesses, EDS affects nearly every body system since connective tissue is what holds the body together like glue. 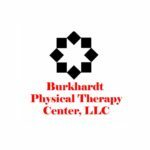 Many of those who have EDS experience daily pain, excessive fatigue, increased bleeding, and they have overly flexible joints which can lead to joint dislocations, as well as many other seemingly unrelated symptoms. Support and resources for medical professionals and patients affected by EDS remains limited. Sadly, EDS frequently goes undiagnosed for many years causing patients and medical professionals unnecessary suffering. Diagnosis is validating and empowering for patients, their loved ones and medical professionals! Early diagnosis enables proper treatment strategies, fewer unnecessary medical visits, and prevents injury. Born December 12, 1987, Meagan Rae Braun was a kind, caring, loving individual with a most beautiful, gentle soul. She grew up in Medford, WI and then resided in Weston. 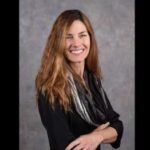 Meagan was an outstanding mother of two young children who truly enjoyed helping others while continually seeking knowledge, truth, peace and harmony. Even so, behind her beautiful smile, Meagan suffered with multisystemic illnesses including EDS, hyperadrenergic Postural Orthostatic Tachycardia Syndrome (hyperPOTS), allergies, sensitivities, and more. Frustrated with limited treatment options for her health, in addition to battling postpartum depression, Meagan lost all hope resulting in her death from suicide on April 24th, 2017. This annual event is held in honor of Meagan’s gracious spirit. 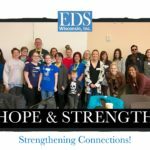 The mission of the not-for-profit organization EDS Wisconsin is to provide support and resources to Wisconsin patients and medical professionals about Ehlers-Danlos Syndromes and related conditions via education and research. Together with the Braun Family, this Walk is an opportunity to increase awareness, support, resources, and education for those affected by EDS and to prevent suicide. There will be t-shirts, lanyards, balloons and rock painting for participants. This event is proudly supported and sponsored by Wisconsin Integrative Pain Specialists, The Caring Tree Children’s Counseling Center, Gray Law Firm, Chrysalis Massage & Consulting, Burkhardt Physical Therapy Center, Natalie Helen Photography, Black River Hemp Company, Evolve Counseling, Sport & Spine Physical Therapy, Tools of Marketing, and Mariah Liisa Design. We are fiscally sponsored by EDS Awareness aka Chronic Pain Partners. Please join us at Weston’s Kennedy Park on Saturday, May 4, 2018. Registration begins at 11:30 am. Donations can be mailed to EDS Wisconsin, Inc. PO Box 485, Sun Prairie, WI 53590. 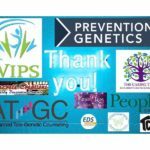 THANK YOU TO THESE GENEROUS SPONSORS FOR BRINGING AWARENESS AND HOPE TO OUR COMMUNITY! It’s funny whenever I find myself taking a break from writing, it’s usually because I’m doing the same thing to blog readers as I do to those in my own life–pretending everything is going so well I don’t have anything to say. If any of you know me in real life, the idea of me having nothing to say is, in itself, hilarious. 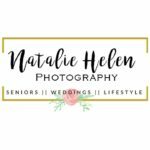 Yet, here I sit, at my desk, in my wheelchair, a dog on my lap, a TENS machine at its highest power attached to my back and I’m still not really sure how to write this blog post. I’ve been telling even myself I’m “fine” for the better part of the last several months, even as I fought off a severe infection that required multiple emergency room visits in which physicians did not understand my condition and in which I was time and time again not given the necessary antibiotics to fight the infection. I woke up one morning with a fever of 104 degrees, feeling like I was naked on an iceberg, and shaking so hard I couldn’t even type out a message on my phone. That day was our second trip to the emergency room. Even then, I didn’t get IV antibiotics. I didn’t get them until the doctor who generally treats the pain caused by my EDS saw me for a regular appointment and realized how incredibly sick I still was even after 9 days on antibiotics. I was tachycardic. I had a fever. My kidneys were so infected the pain in my back was far more severe than even on a normal day. As he looked me over, he called the emergency room down the street and instructed them on my condition, telling them exactly how serious this was. He also looked at all the blood work from all my previous ER trips…and then from all my trips to all the doctors over the last six years, which is when he noticed a commonality. I had alarmingly low levels of a necessary enzyme in my blood consistently for six years. These levels had been flagged in my blood work every time it had been drawn for all these years and are indicative of a condition found in 1 in 100,000-300,000 people. It is a metabolic bone disorder that cause almost all of the things he and I had been trying to figure out for years. You see, I have incredibly curved long bones in my legs. I developed scoliosis in adulthood. I lost my baby teeth before preschool. My pain responds to almost nothing. These are all MAJOR indicators of Hypophosphotasia, marked by these clinical symptoms, and below normal levels of alkaline phosphotase in the blood. He was the first doctor to notice this. Normally, in his words, because it is even less known than EDS, they look only for extremely high levels of ALP, a marker for kidney failure. He immediately consulted genetics as I was sent to the emergency room for treatment for the infection, which is now finally gone. I received a message the following Sunday night from him (seriously, he is THAT dedicated a physician) letting me know genetics agreed with him that it is extremely likely I have this condition and would be contacting me. Genetics says it is either this condition or another metabolic bone disorder, but by some stroke of luck, a company offers free testing for this condition, so currently, my spit is at a lab after my husband mailed it for me, because I was just too anxious. How have I handled all of this? Well, I stopped using my mobility aids and have been acting like I’m a completely healthy and able-bodied person through incredible amounts of pain. I have tried to convince myself it’s not possible I have another condition doctors missed for years, especially one that was IN MY BLOODWORK by acting healthy and “fine.” That caught up to me today, in the middle of a grocery store aisle when I dropped something on the ground and realized I couldn’t bend far enough to pick it up. By the time I got home, I could barely leave the couch and had to use my wheelchair the rest of the day, mostly through tears and anger. I’ve resolved to accept my reality no matter what it is. In fact, it could be good news to know exactly what is going on with my body and why I have had these struggles that do not necessarily line up specifically with EDS. I’ve also resolved to stop saying I’m fine when I’m not. I’ve resolved to stop trying to convince myself I’m fine when I’m not. So, I’m not fine, but by accepting that, I think I will be much sooner. By Stephanie, Essex, and EDS Wisconsin, Inc. Please share and let’s do this together! 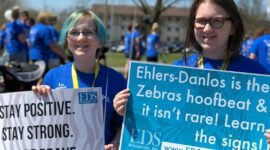 Stephanie VanderPas, Essex, and EDS Wisconsin, Inc. share how to make May EDS Awareness Month across the USA in a short, informative video. I couldn’t have said that any better, thank you so much Mary and Cam, and thank you also Johanna for all you do! Registration and Event information can be found here. Let’s Clear This Up: I am NOT always happy and positive. I post a lot online. For some people, it’s probably annoying or way too much. For others who share my condition or have family members who share my condition, it’s probably comfort. For others, they probably just don’t feel much of anything about it. Honestly, I don’t much care where you fall on that spectrum–and I don’t mean that in a rude way. I do it for two groups of people: myself and the people who need the words I write. Everyone else knows how to avoid reading them. I wear makeup to the emergency room…I don’t know. Sue me. I was in the hospital most of yesterday. It’s not the first time that’s ever happened. My husband couldn’t be there with me, because he had to be at work. I have some complicated issues with my ovaries and uterus that are causing intense pain and major symptoms in my life that frankly, none of you want to hear about. I am absolutely, in no uncertain terms ALWAYS happy or positive. In fact, if you asked my husband, he would probably laugh so hard at you about that he would end up on the floor. Not only am I just NOT ALWAYS happy, I have clinical depression and severe anxiety. I am medicated for both and despite medication, I still feel them. I work with a psychiatrist and I talk about how I feel and I have yet to make it through a therapy session without crying and saying “not fair” at least once. So, how am I smiling frequently? Are my positive posts lies? Am I always sad and crying? No, that’s not the case either. I genuinely believe I was put on this earth with this chronic, incurable condition to help other people. I have a positive attitude about it a lot of the time. 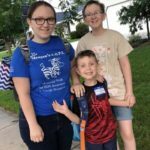 I have moments when I scream and yell and cry and use words that are not appropriate for a blog or for children…but I also have moments when I read the words other people comment on the work I’ve done with EDS Wisconsin or the posts I’ve done myself and I remember what I can do with the situation I’m in. I remember there are young kids looking at me and thinking about what’s going to happen to them when they get older and I hope what they’re thinking is that it’s going to be okay. I hope they notice that I have a wonderful husband and a supportive family and two adorable dogs and I served in elected office starting when I was only 20 years old and they realize that even if they’re sick, they can still have fulfilling life. I hope they forgive themselves for the moments they are angry at the world for giving them EDS but also find joy in their uniqueness. I mean, look at her face. She can brighten any day. I’m different from most other people. I’m different not just because I’m sick. I’m different because I can write and I know every word to every Taylor Swift song ever written and I can paint tiny artwork on my fingernails. I’m different because my mother tells me I’m the only person she’s ever known who’s actually uniquely talented at coloring. I’m different because I have a tattoo of my dog’s crazy big ears on my left shoulder and a tattoo in memory of my wonderful grandfather on my right wrist. I just also happen to have really crappy collagen that means I sometimes use a wheelchair or the most blinged-out crutches you have every seen. I am not always positive. EDS is not even a little bit fair. I wouldn’t change my life for anything; I love who I am–and I can feel that way while also knowing I wouldn’t wish EDS on anyone else in the world. I may not always be positive, but I am positive I wouldn’t want to be anyone, but the Taylor Swift-loving, puppy-cuddling, has way too many bottles of nail polish person I am. I’m just me. Positive, negative, me. It’s okay to visit…as long as you don’t unpack and live there. This morning, just after midnight, we lost a member of our EDS Wisconsin dazzle. 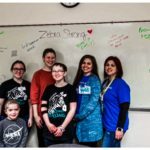 If you’re new to reading the blog or unfamiliar with groups of EDS patients, we call ourselves a dazzle, because a group of zebras is called a dazzle and we are called zebras. Since I got this message on my drive to the office this morning, I haven’t known exactly what to say except that we needed to say something. As the writer of the group, I’m often asked what we should say when something like this happens. I’ve been told since I was a little kid my power over words was impressive, it could help people, it could change things. The problem is, there aren’t words that make this any better. I cannot write anything in this blog that will take any of the sting away from losing a beautiful young woman at only 30 years old. Nobody wants to admit their selfishness when someone else’s life is gone, but in the moment, the immediate moment I heard she’d passed, all I could think was, “that’s only two years older than me” and I cried to myself in my car as I drove the rest of the way to the office. I cried for her, imagining the pain she had in those final days. I cried more for her family and friends, because at least in my belief system, she is at peace now–something she struggled to find due to the complications. Finally, in the most horrifically selfish admission, I cried for myself. 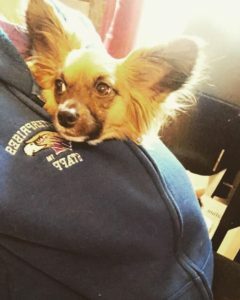 I cried thinking about my absolute terror at the idea something related to having EDS could mean I only get two more years with my husband and my dogs–I cried more later when I read her obituary and about how much she adored her dog, because it was another trait we share. I cried because some days I am just so tired of people I know and love hurting and feeling like nothing I ever do is going to be enough. I don’t want to write this blog as though she and I are close personal friends. It would be a disservice to her memory. 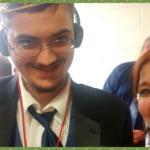 We interacted online as so many do in the EDS community. I remember finding her faith comforting because I share that faith. I remember wondering if I could help and how. I wonder that to myself all the time, usually when I’m feeling like I’m not doing enough, because we lose EDS patients in the world every single day. 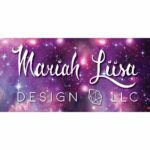 I think when you exist in a chronic illness community the way so many of us do, we find a way to connect to people. We feel like they are part of our families no matter how little time we spend with them, because in some cases, their DNA is more similar than the people we are actually related to us. They share our experiences. They share our struggles. They understand our emotional and physical pain and sometimes, they are the best sounding board for us. So, when we lose a member of our chronic illness family, we grieve them, because grief is human and we might be chronically ill, but we are human. There aren’t words to adequately express grief. Grief is too complicated to be put in to words, but pretending we don’t feel grief is not healthy. Pretending losing a young, beautiful woman with EDS doesn’t also terrify us is not healthy. Accepting the truth about this grieving process means we don’t delay too long what is truly important–fighting for the people we have lost–and I believe at the end of the day, every single EDS patient we’ve lost would want that from us. They would want us to brainstorm ways to help their doctors be more informed. 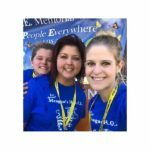 They would want us to get together and remember fond memories about them while also discussing how to teach patients who share their condition to advocate for themselves because in their passing we found a passion for even more advocacy. They would want to help patients with their passing, I truly believe that. I hate the saying “she lost her fight with [fill in the blank disease]” because it is absolute nonsense. No human being has ever lost a battle against a disease. Instead, they found peace from it. Whether it’s EDS, Cancer, Parkinson’s, or any other condition, I refuse to ever treat another human being as having been too weak to win. Living with these conditions for any length of time is victory. Impacting the world is victory. When peace comes to our victorious friends, we will take the torch and we will keep fighting, because we will never let someone pass in vain. We will continue our work and we will continue our fight and we will remember that we cannot lose, either. And then we will cry, because we lost a member of our family today and it’s normal to cry when you lose someone in your family. Thank you for reading my words while you were here, Lisa. Thank you for loving dogs like I do. Thank you for fighting this battle alongside me. Thank you for allowing us to continue your fight. We will not stop. I’ll give my dogs an extra squeeze for you tonight. You won. Lisa and l shared a deep love for our dogs. 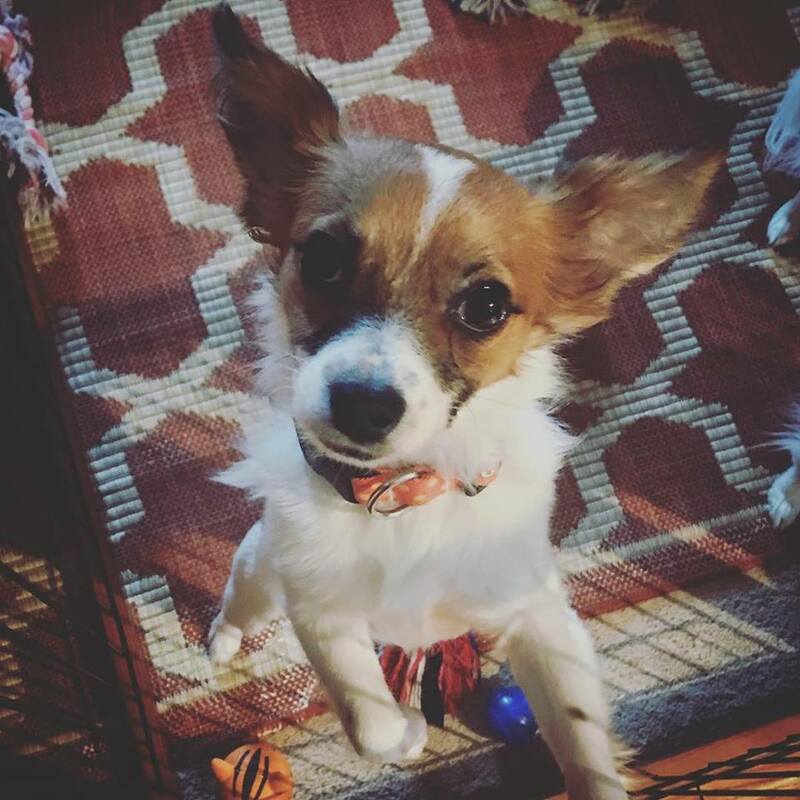 Here is my littlest baby, who has gotten lots of love since we lost our zebra friend. What are mast cells and how do they affect pain, brain fog, fatigue, allergies, anaphylaxis and even autism? Find out in this podcast interview of “Mast Cell Master” Theoharis Theoharides MS, PhD, MD, FAAAAI. I said something tonight I bet people all over America say routinely on Sunday nights. I said, “I’m not ready to Monday tomorrow.” It’s a quirky statement usually meant to imply the weekend needed more hours to do all the fun things people love about weekends, not working, sleeping in, staying in comfortable clothes, being with family, or going places you aren’t able to go when you are obligated to be at work. What did I mean tonight? My pain all weekend has been absolutely excessive. When I say excessive–I mean, normal people would absolutely not go to work, describe it as a 9.5 on the pain scale, use every tool in the pain toolbox kind of pain. I mean, I literally do not know if my body is going to wake up at all prepared to handle the things I need to do tomorrow. When I woke up in immense pain today, it was okay. I could stay in bed longer. I could keep the same clothes on longer. I could get a hot bath at 10am while my husband walked the dogs and eat leftovers for lunch, just enough I wouldn’t get sick from the pain meds I needed today. When the pain got worse this afternoon, I could curl up with my dogs on the couch and binge watch something on Netflix while eating a Blow Pop because hard candy calms my nausea. I could relax while my husband cooked dinner even though I prefer to cook for him, because he knew I was in too much pain to cook. Essex and Mama spent a lot of time cuddling this weekend. Thankfully, she and her sister are very good at taking care of their dog mama. Tomorrow, Monday, if I wake up in immense pain–an alarm is going to go off. I might be lucky enough to hit snooze, but I need to make a 90 minute drive tomorrow, which means putting pressure on my spine, the part of my body that causes me the most discomfort. I’ll have to put on nice clothes and enough makeup that hopefully customers who see me can’t tell I’m in pain, even though I’ll have to use my wheelchair. They’ll probably ask about it–I’ll have to resist the temptation to respond with sarcasm, because truthfully when you’re in immense pain, it’s VERY hard to stay in a good mood–or not be frustrated with able-bodied people who aren’t sharing in that pain. Here’s the thing, though. I’ll do it, because I do it all the time. If you don’t have EDS or a chronic pain condition, you probably can’t even fathom this. If you do, you aren’t surprised by this. You do the same thing all the time. It’s less of a “look better, feel better” concept and more of a “fake it til you make it” reality, because if we stayed in bed every day our pain rose above a 5 on the pain scale, most of us would have bedsores. I’m working on being aware of how my pain affects my mood. I’m working on how to make my pain better. It’s hard when you have tried as much as I have. It’s harder when you think about those 25 years a doctor didn’t tell you what was wrong and all the damage you could have prevented. It’s challenging not to wonder if dreading morning alarms would happen less often if we had known when I was in kindergarten instead of when I was old enough to teach it. So, my friends, if you’re reading this and you’re worried about whether or not you’re ready to Monday–or if your body can even handle Monday, you are and it can. You are so, so strong. No matter what it takes to get through the day, whether that’s taking an extra five seconds before responding to a question or promising yourself a hot bath after the day, you will get through it, because we always do. The problem is zebras exist, they have hoof beats, and they need to be seen. They need to be diagnosed. BUT, that’s not the point of my blog today. 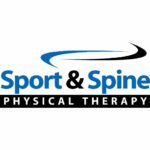 If you are reading this blog or follow this website, you already know that. What I’m writing in this blog is more about the issue that stems from this condition and the way it presents. So, if you’ve recently been diagnosed with EDS, you have a LOT to look forward to (I need to get a sarcasm font, because I use sarcasm A LOT and it’s hard to tell, but in this case, this is obvious sarcasm). My sister was diagnosed this past summer. We were very expectant of this diagnosis shortly after my diagnosis, but very similarly to me, about her mid-20’s, she has had an onset of symptom after symptom. 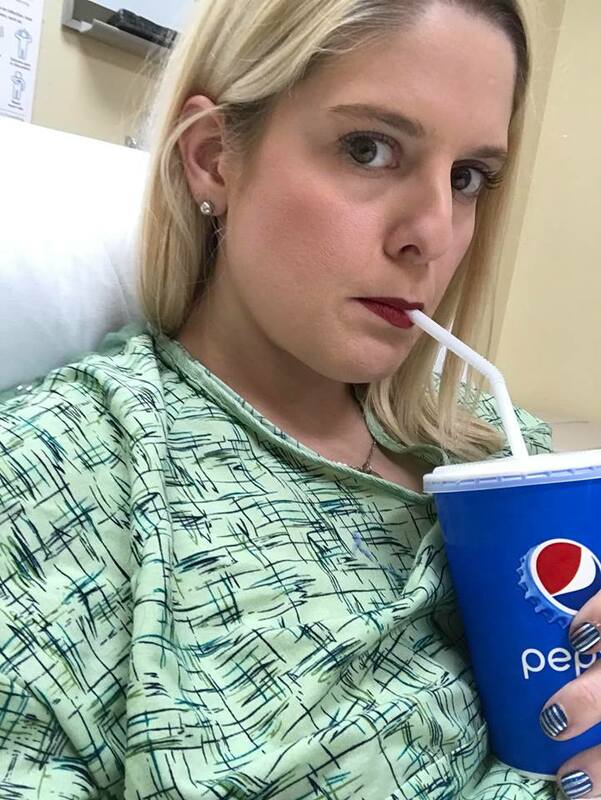 Just like most EDS patients, she is now navigating a sea of doctors–some of whom know A LOT about EDS and some of whom know very little about EDS. Like most EDS patients, she will have to see many doctors yet to determine which of the other conditions she has. She lives all the way on the East Coast, so I can’t help her find doctors or be as much of a resource as I’d like.I don’t like to think about it, actually. I wanted to be the only one of my siblings with it–not because I wanted to spotlight, but because I know how truly challenging this condition can be. AND STILL, my own sister, who has the SAME connective tissue condition I do, looks nothing like me when you see us side-by-side medically. 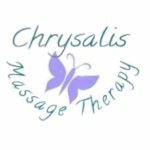 While we both have chronic pain, it is in different areas and in different severity for each of us. She has major issues with her hands and fingers that make it challenging for her to work with a computer; I am fortunate to still have lesser damage in this area. I use a wheelchair more of the time than I am ambulatory; she is not yet using any mobility device. We share some symptoms like chronic migraines and anxiety, but still, at the end of the day, aside from the things that lead to a diagnosis, we do NOT look exactly the same in our EDS battle. 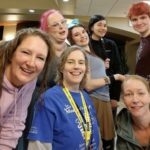 The Ehlers-Danlos Society released a video today. You can find it <a href=”http://”>HERE. While the video itself is great, there was one quote that stuck out to me. I have noticed a tendency among those with this condition to worry too much about where they fall in terms of their severity and whether or not they “count” when it comes to our community. Working together to understand the symptoms we share and the resources available is helpful. Determining whether or not someone else’s pain is valid based on a scale of your own symptoms benefits nobody. If you feel you are less severe than another patient, you are valid. If you feel you are more severe than another patient, THEY are still valid. Most importantly, remember that we are all more than patients; we are human beings–and that matters more than any of the rest of it. Since my diagnosis, some of my symptoms have improved thanks to intervention. I understand what POTS is and in general, I can keep it in check well enough it does not affect my daily life as much as it is before I even knew it was a real condition. Other parts of my condition have gotten dramatically worse. My spine is more curved than ever and I now use a wheelchair much of the time due to the irreversible damage to my spine and legs. I now have to park in handicap spaces and worry about judgment from others when I don’t use my chair. If you are a child newly diagnosed whose symptoms are much less mild than mine due to your age and early intervention, don’t feel less valid–feel grateful that people are beginning to listen and understand and diagnose. Early intervention is absolutely the key to staying on top of how much EDS damages our joints. Let’s all love each other regardless of what our stripes look like. Let’s help each other no matter what symptoms we see or know or share. Let’s understand that EDS is a condition that exists on a wide spectrum and affects people differently, but what we know without question is that coping with the reality that there is currently no cure is MUCH easier when we have others in our life who understand that same need to accept reality. Love a zebra today. Love a zebra every day, really. We could use it.